Winter is a great time for excellent beer in the Midwest. Since November Matt and I have been eagerly sampling our favorite holiday seasonals as well as a few standard porters and stouts. Thus f ar in 2014-2015 here are my favorite 10 winter beers. Did we miss any? Let us know in the comment section what other beers we should try before winter is over! Before we were married, Matt and I started a tradition of celebrating our Christmas a day or two before Christmas Eve. This way it could be the two of us and not combined with our families regularly scheduled festivities. The tradition grew to include preparing a meal, presents and then a special breakfast for the morning after. This year we decided to change up our Christmas meal. For the last three years we have dished up an herb roasted lamb rack with mustard roasted potatoes and asparagus with a hollandaise sauce. Inspiration fell into my mailbox in early December from my butcher. In their weekly newsletter they listed a bunch of holiday dish ideas and one was a pork rack. I told Matt about the idea and he was on board. Since we like having leftovers, I ordered a rack for six people. I had Matt pick up the rack after work the Monday before Christmas. When I got home, he asked me if I wanted to see the piece of meat. I was a little curious and said sure. He came out with a huge rack featuring 13 ribs! Definitely more than enough for six people. Now I just needed to find a recipe…good thing we have the Internet. In one of the top five results for roasted pork rack, I found it. 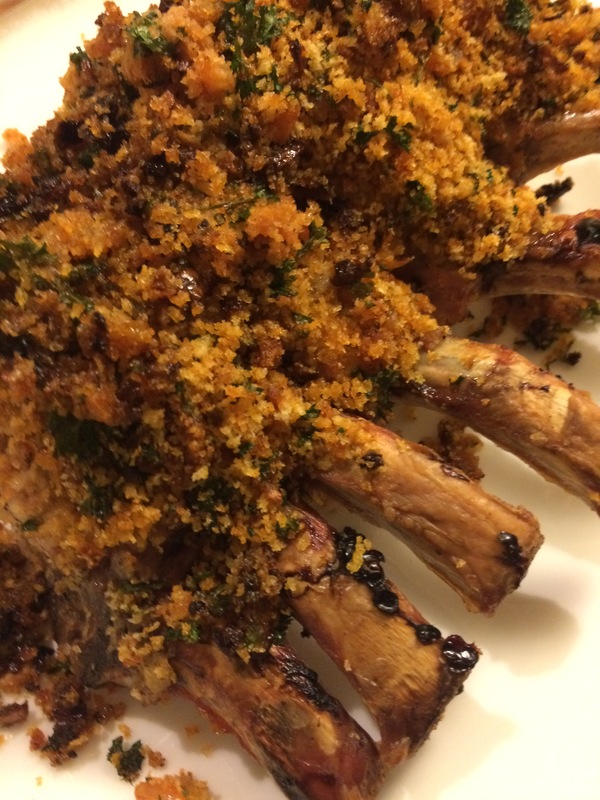 A rack of pork with an herb-mustard crust. The recipe called for only a six rib roast, so I cut the rack in half and freezed what was leftover. We decided to keep our roasted mustard potatoes because they are delicious and rounded out the meal with honey-glazed baby carrots and broccoli. The recipe called for a gravy, but I opted not to make it and Matt and I both thought the roast was just right without it. We liked the meal so much we agreed to make it again today for New Year’s Eve. Heat the oven to 425°F. Season pork with salt and pepper to your tasting. Heat the oil in a large skillet over medium-high heat. If you have a flameproof roasting pan or a large ovenproof skillet, use that. Unfortunately, I don’t have one yet, so I just got my 12-inch All-Clad saucepan dirty. With your skillet of choosing, brown the fat-covered surface of the pork until it turns a deep golden brown. This took me only five minutes. Then I moved the rack to my roasting pan and turned it so the roast rib side was facing down in the oven. I basted with the remaining olive oil every ten minutes, for 30 minutes. While the meat roasted I started on the bread crumb mixture. In a skillet I melted the butter and add the garlic and shallots until they were soft. Then I add the the cumin and smoked paprika and stirred until they were well mixed. Once ready, I removed the mixture from heat and stirred in the parsley and breadcrumbs. My bread crumb coating was ready! After the pork had roasted for 30 minutes, I brushed the surface with the mustard and coated the roast with breadcrumb topping, pressing down so it adhered. Then I turned the oven down to 375°F and cooked the roast for another 30 minutes. Once my time was up, I took out our meat thermometer to make sure it registered at 145°F and it did! We let the meat rest for 5 minutes by covering it with foil before we carved it, mostly so I have time to get the side dishes ready! It’s a great holiday dish and I think this might be a new holiday tradition for us. Now we just have to pick the holiday! Tis the season for tons of holiday events, craft fairs, expos, and holiday lights in Chicago. 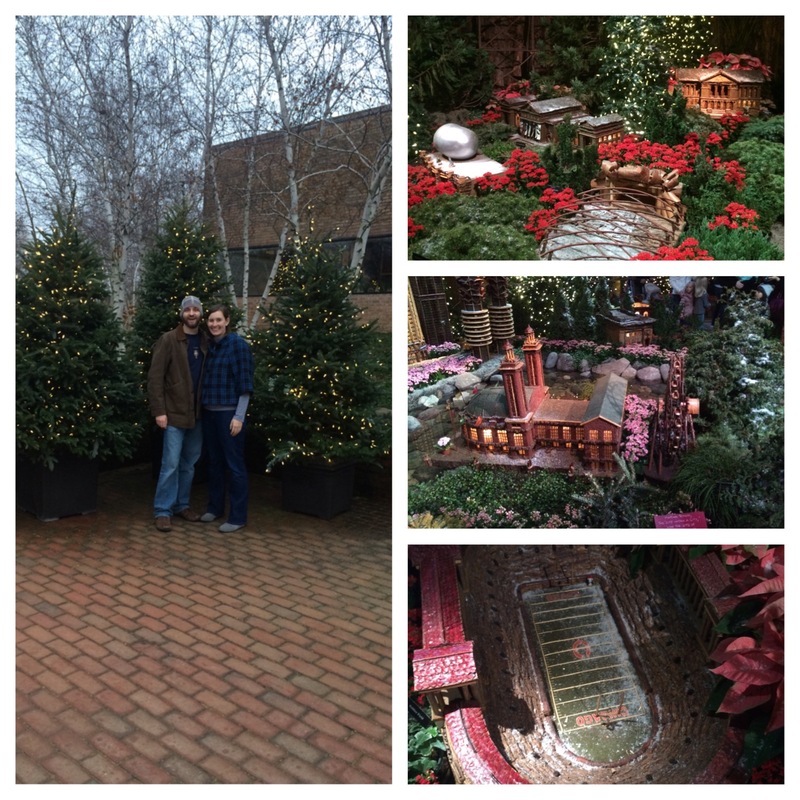 This week Matt continued to check holiday events off of our list. On Sunday afternoon we accompanied our friends, the Ludwig’s, to the Chicago Botanic Garden for the Wonderland Express exhibit. The exhibit features miniatures of historical buildings and landmarks in Chicago surrounded by poinsettias and other holiday plants with model trains bustling all around you. It was fun walking through the exhibit and marveling at the construction of the miniatures. Once done inside, we headed outside to walk a few trails. This was only my second time at the Botanic Gardens so it was neat to see all the different types of gardens on the grounds. My favorite were the English and Japanese style gardens. Maybe this spring/summer I’ll go back to see how it looks in full-bloom. To compensate for the lack of outdoor flowers, there were a ton of lights wrapped around trees and plants. As sunset approached, the gardens started to glow white, yellow and red. With the lights and beautiful garden backdrop, a beautiful winter scene was created. Ready to be refueled after walking around the gardens, we headed to Crisp. 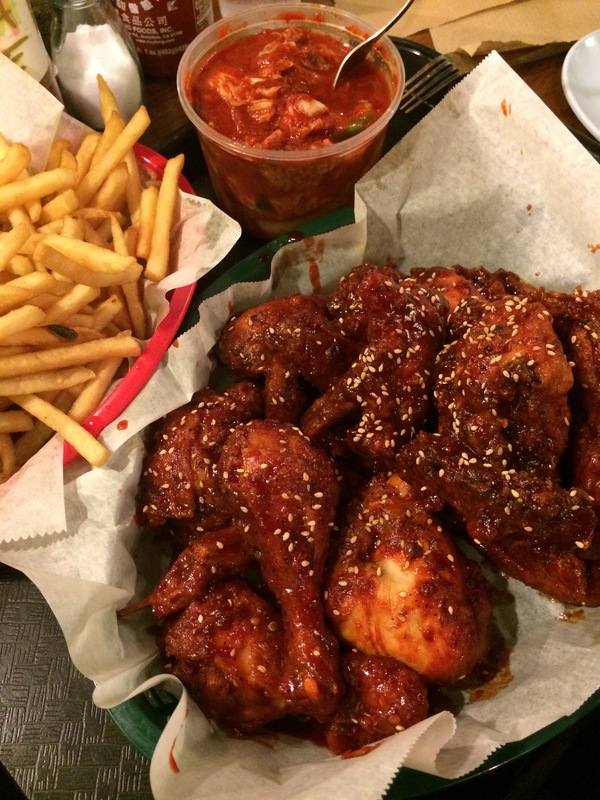 Tom and Kim were raving about their twice fried Korean chicken so we had to go! I thought Sunday evening wouldn’t be a busy time, but I was totally wrong. The place was packed with folks dining in at their 4 large communal tables or standing waiting for their take out order. Luckily Matt and I knew what we wanted to get from scoping out the menu on the ride to the restaurant. We ordered one whole chicken with the Crisp BBQ sauce, a side of fries and kimchi. Everything was delicious and yes we had leftovers. 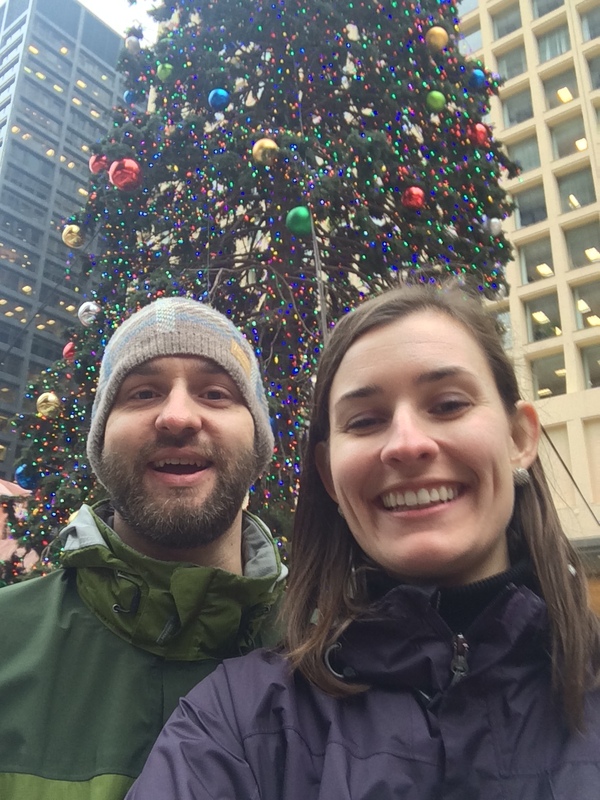 This past Monday Matt and I took a half day off work and traveled to the Christkindl Market in Daley Plaza. We always have the same plan of attack for navigating the busy market. One of us responsible for food and the other for the gluhwein, which is warmed spiced red wine served in cute novelty mugs. We’ve found that if executed properly, we can enjoy eating our food while we wait for our beverages. This year we both got a bratwurst with sauerkraut and split an order of potato pancakes with herbed sour cream and smoked salmon. With happy bellies and our warm gluhwein in hand it was time to find a few ornaments and spiced nuts. As for our ornament haul, we picked up a pickle, a black lab for Porter, a beautiful wood carving of a deer and evergreen trees, as well as a red glass tree-topper. This year I convinced Matt we should dye eggs. Partly because we didn’t last year and I still had the kit, and most importantly because it’s fun! Last year I purchased a Pearlescent kit from Target. Unfortunately it didn’t get used then but luckily we used it this year! I loved that it didn’t need vinegar and used easy to “wash-off” dye. While we boiled our eggs, we set up the dining room table with newspaper. With the eggs still warm we got to work. 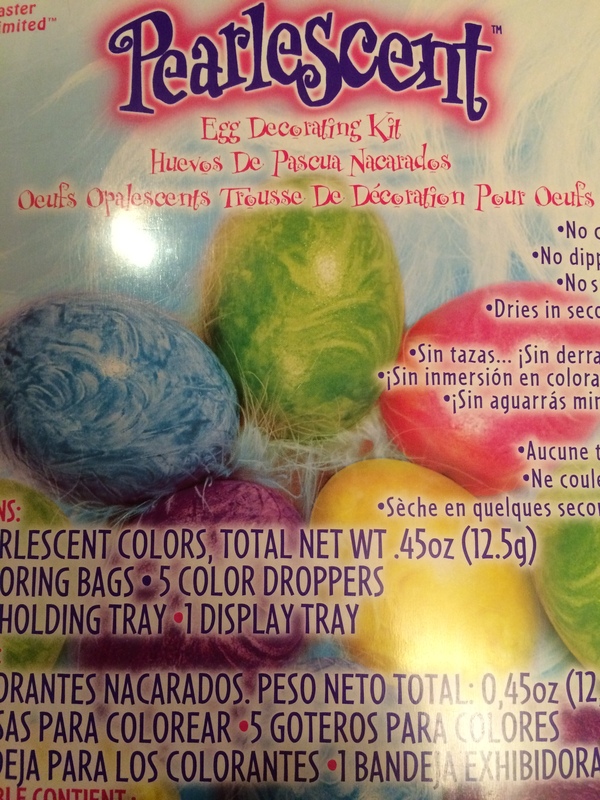 The kit came with little plastic bags you used like gloves to hold the egg and create “swirl” patterns with the dye. Also in our cardboard box were “color droppers” that we used to transfer the dye from the container to the egg. The droppers were very easy to use. The bags not so much because they were definitely kid size and not adult. Luckily Matt broke out some plastic gloves which worked a lot better with adult sized hands. Inspired by the designs on the box and our own creativity, we tried out different color mixes and designs. Luckily we didn’t mess up the dye by mixing colors. Even though it took us maybe 15-20 minutes we enjoyed ourselves. We both grew up dying eggs and talked about a few of our favorite memories as kids while we crafted our eggs. 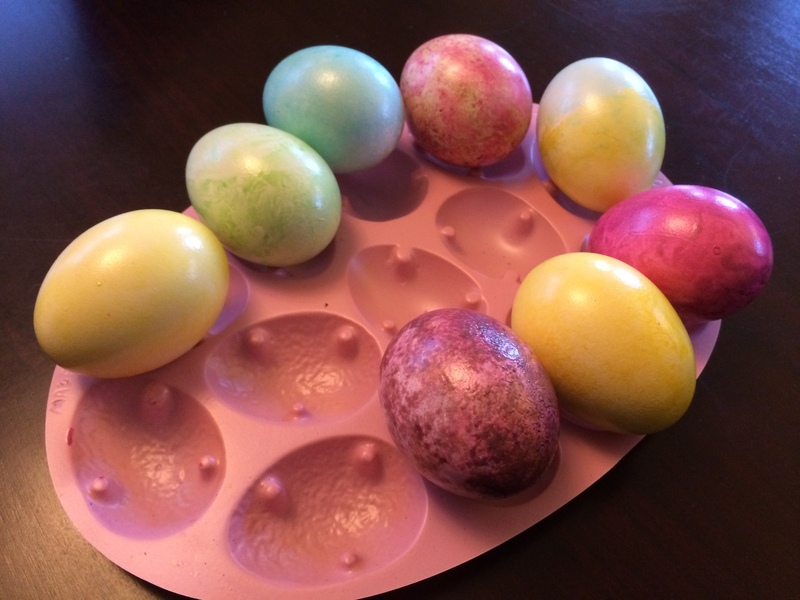 Easter egg dying is a great tradition no matter how old you are. Just be prepared to find some “larger” materials to make life a little easier. 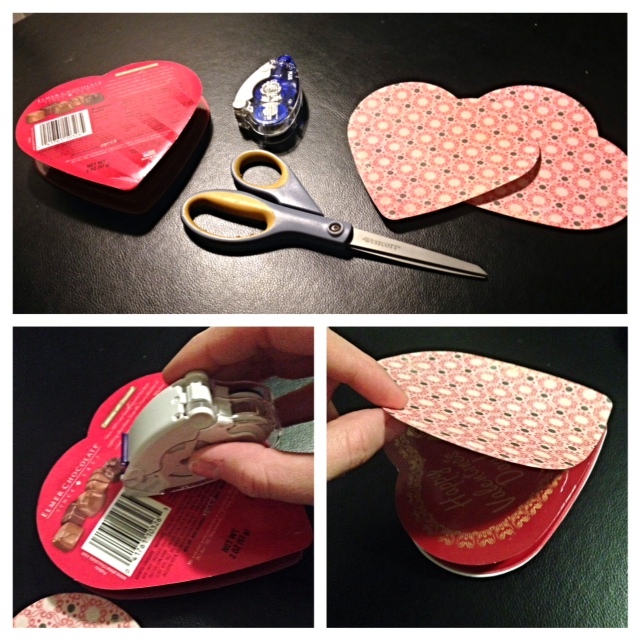 ‘I saved my first heart shaped candy box simply because it had a really pretty design on it. There was no ugly brand name – just a beautiful two toned red floral pattern. The next year, when I needed a nice box to put homemade treats in for my boyfriend, I found a tutorial from Martha Stewart on how to make your own. Here’s a link to a similar tutorial. Honestly though, the instructions looked too complicated. It was one of those things Martha makes look easy but no one can actually recreate as perfectly. Plus, I had just slaved over making my own truffles and I didn’t have the energy to craft my own box too! My solution: grab that pretty box I had held onto and pack it with goodies. All my problems weren’t solved though. I had more treats to give out but no other pretty boxes. That’s when I decided to recover a much less appealing heart box that I had received just a few days before with scrapbook paper. Why make one when you can just reuse old ones? Step 1– Use the heart box as a template. Trace the outline twice onto the scrapbook paper with your pencil. Step 2– Cut out the heart shapes you just traced. Step 3– Take the adhesive of your choice and apply it to the heart box. Step 4– Line up the heart cut outs onto the top of the boxes and press down to secure them. 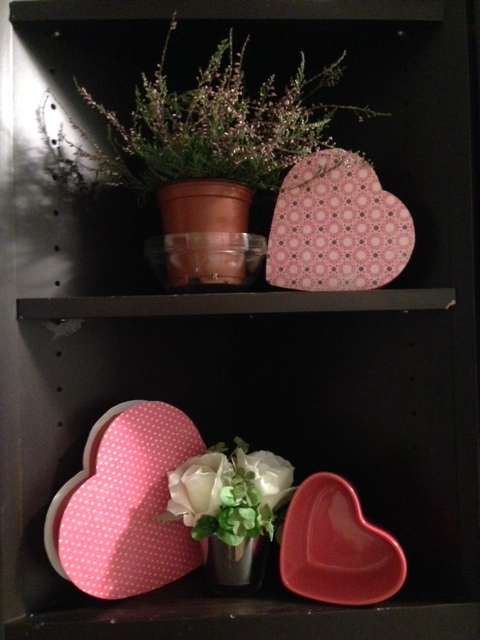 Step 5– Find a place to put your new Valentine décor! 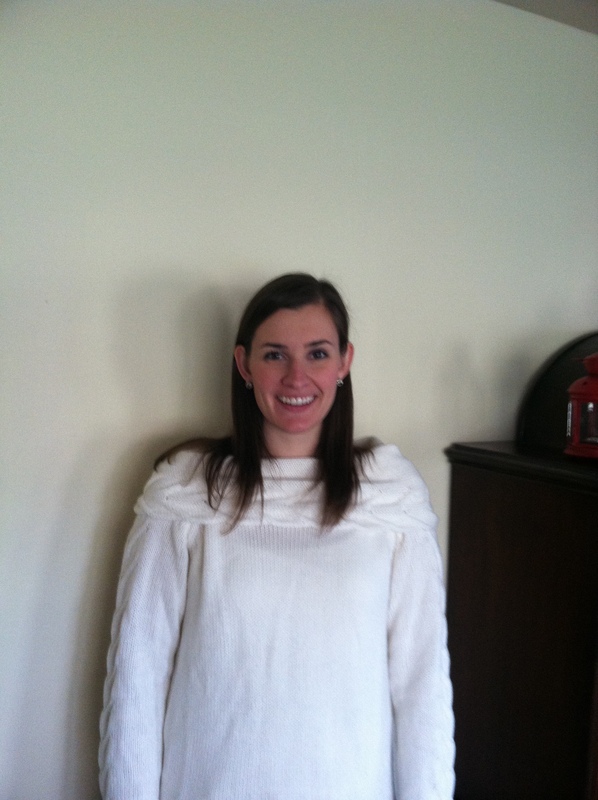 A few weeks ago I talked about my family’s holiday tradition of going to Lincoln Square. This week I’m going to tell you about a new Hein tradition, one that Matt and I started last year, and that is cutting down our very own Christmas Tree. 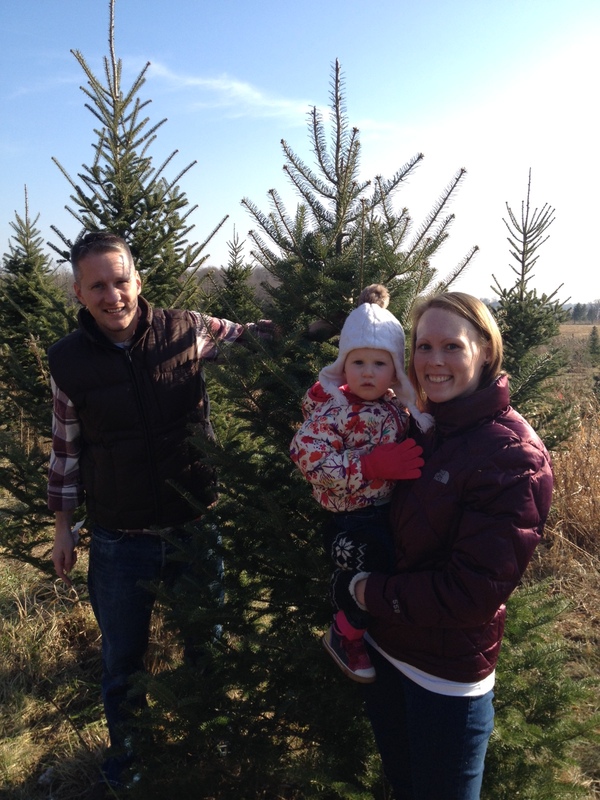 Last year, our friends Tom and Kim recommended Ben’s Christmas Tree Farm in Harvard, Illinois. They went in early December and us, well, it ended up being a week or two later. Matt ended up getting more of a Charlie Brown Christmas Tree for his holidays. But it was a very cute tree for the record. Kelly and I stuck with our go to Home Depot and found compared a nice six foot fraser fur. 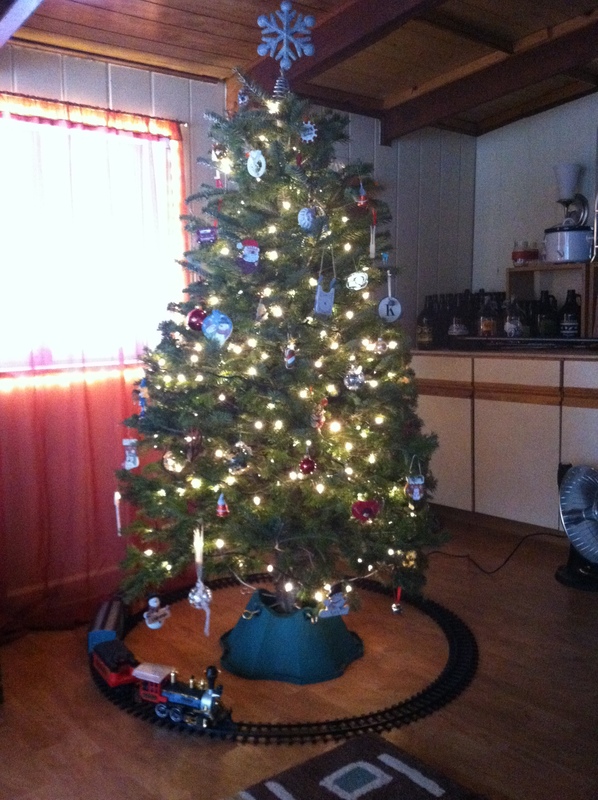 All I can say is Matt learned his lesson of going earlier in the season if he wanted a nicer tree. That brings us to this year. We went opening weekend to Ben’s Tree Farm with our friends Tom, Kim and their adorable daughter Maddie. All five of us made the trip back to Ben’s Tree Farm. The two and half hour car ride went a lot quicker with tasty donuts and an entertaining almost two year old. 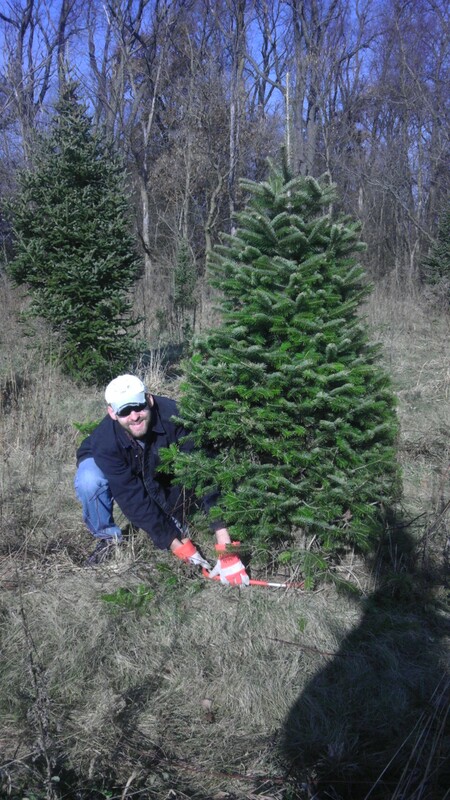 When we arrived at the tree farm we set off in search for Tom and Kim’s tree first. While maneuvering through lines of trees we caught a glimpse of Santa driving a tractor. Maddie was absolutely mesmerized by this bearded man in a red suite, so of course we waved and said hi from a distance. Santa waved back and asked if he wanted a ride back, but unfortunately we hadn’t picked our tree yet. We had a perfect day for tree hunting. The weather was warm and clear blue skies with not even a light breeze to give us a chill. Pretty quickly Tom and Kim found their tree. Then it was just left to Matt and I to find ours. And ten minutes later we did! Ben’s Farm has quite the selection of trees plus free hot chocolate to warm you up if you need it. You can also see Santa and enjoy a free ride around his tractor or go on a horse drawn carriage ride. Your choice! And don’t forget to stop in by the petting zoo to see some adorable goats. Once we had our trees bundled and on Tom’s car it was time to head back to the burbs. We broke up the ride a bit with a stop at Culver’s to replenish our stomachs. Even lumberjacks need more than donuts. That night we got to work decorating our tree and I think it turned out pretty good. What do you think? Before things get too crazy with the holidays I wanted to give back something special. I started growing out my hair for a nice updo at my wedding. From July of 2012 to September 2013 my hair grew about 6 inches. Not too shabby but not quite enough to donate. So for the next few months I let my hair continue to grow. Until this weekend. 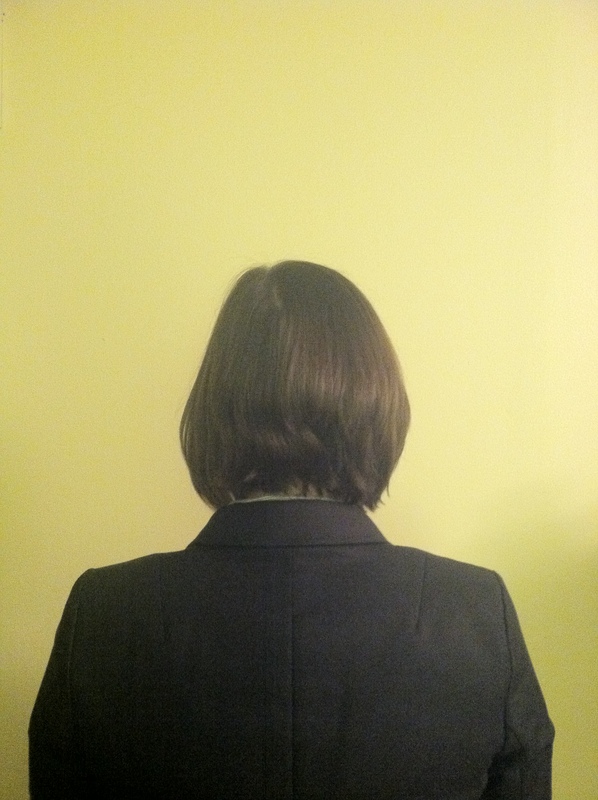 There were two main non-profits I looked at to donate my hair. 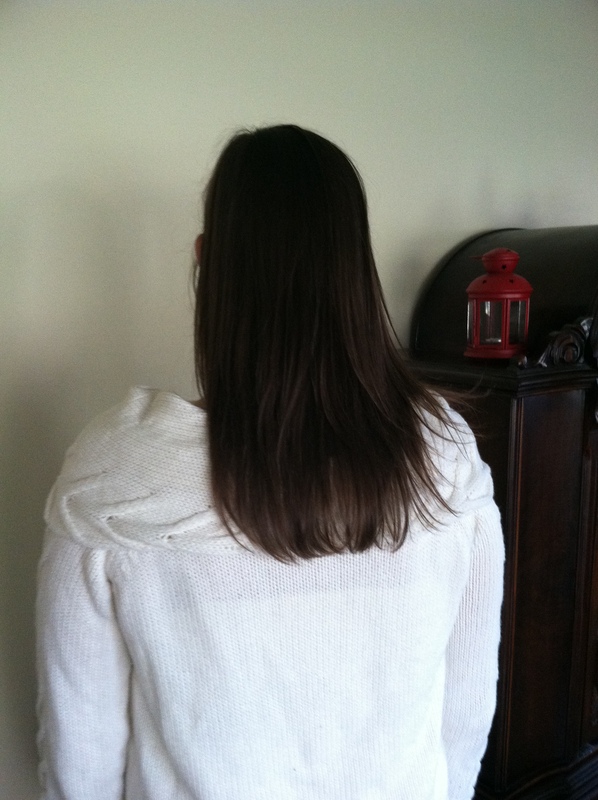 One was Locks of Love and the other was Pantene Pro-V’s Beautiful Lengths Campaign. After talking to my friends who have donated in the past, as well as my own research I decided to go with Pantene Pro-V. 100% of their wigs go to women with cancer. On Friday I set off to Floyd’s in LaGrange. 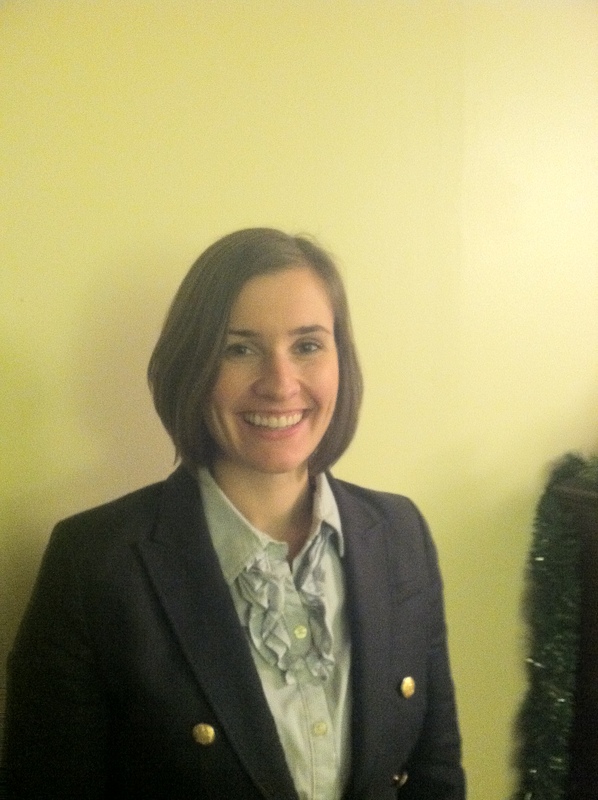 My hair stylist Ashley asked what I wanted to do, and I explained the big chop for a donation. She was very excited and I think a little more nervous for me than I was! She grabbed a ruler and confirmed that I had 9 inches to donate and began cutting. Here’s the before and after pictures. I’m so glad I decided to donate my hair before the length drove me bonkers. Plus, I know it’s going to a good cause. On an unrelated hair note, another way to give back this time of year is donating your time. This past Monday night, my husband and I spent almost two hours at our church sorting donations for an event called “Christmas Sharing”. Christmas Sharing has been going on for over 40 years in the Wheaton Warrenville suburbs of Chicago. The entire community of schools, churches, civic groups, libraries and businesses in the area collect food, gently used clothing, and toys to be distributed to families in need identified by school social workers. Matt and I had a great time meeting fellow members at our church and sorting through clothes. We enjoyed a few laughs of old styles and trends. It was the first day of sorting so it feels like we barely made a dent, but our group got all the coats organized in one room, all the shoes in another and made excellent headway on adult clothes. I’m sad that I’ll miss the big distribution day, to meet the families in need and see their excited faces. But, I do hope to bake a few batches of cookies to donate to help make up for the loss of not being there. Plus, I can always look forward to next year! During this time of year being able to do things like donate my hair and help out a non-profit organization warms my heart. Because I believe one person can make a difference from a lock of hair to spending time folding clothes.